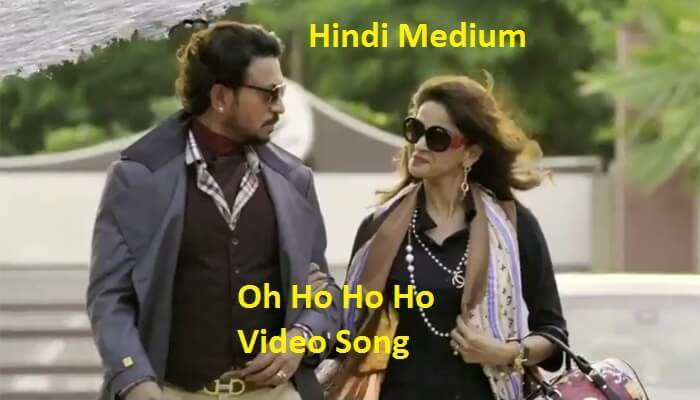 Oh Ho Ho Ho this is a new Remix HD Video Song From Upcoming Bollywood Movie Hindi Medium. This is a romantic and social drama Bollywood Movie Hindi Medium. Oh Ho Ho Ho is the fourth video song after Suit Suit, Hoor, Ek Jindari is romantic movie. This video song Lyrics Kumaar has penned this dance song but rap is penned by Ikka Singh himself. This music is composed by Sukhbir and Abhijit Vaghani. This movie is starring Irrfan Khan and Saba Qamar in the lead role in this movie. Hindi Medium is produced by Dinesh Vijan, Bhushan Kumar, and Krishan Kumar and also stars Deepak Dobriyal and Amrita Singh in key roles in this movie. This movie is directed by Saket Chaudhary and this movie is rescheduled to be released on 19th may 2017.